Mr. Cesspool provides low cost, standard port-a-john rental units, flushable porta john toilets, affordable bathroom trailer units, portable fresh water sinks, best price VIP portable toilets, and hand sanitizing tree units in eastern Massachusetts, southern New Hampshire, and Rhode Island. Our portable restroom units are all modern sanitary units designed to meet the needs of all types of social events and the requirements of the construction industry. We have the resources and equipment to meet all of your sanitary needs, and a full service staff to provide you with exceptional service. Mr. Cesspool also offers its customers in MA RI and NH the latest environmental green certified portable restrooms and related green products in the portable toilet rental industry. Make a eco-responsible statement for renewable resources by renting green certified portable restrooms for your special event, wedding, outdoor event, party, sporting event, or even your job site. 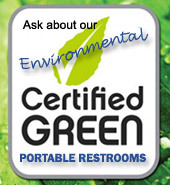 Our environmentally green certified portable restroom units are serviced and maintained using bio-degradable solvents, non-aerosol & non-toxic cleaning solutions, and alcohol- and formaldehyde-free holding tank deodorizers. These green porta-johns also feature bio-based hand sanitizers, chlorine-free, 100% recycled paper products, and water-conserving flushing toilets & faucets in our flushing portable restroom units. In addition to its low cost porta-john rentals, Mr. Cesspool can provide low cost septic tank pumping, complete septic system maintenance, drain cleaning, and high pressure power jet septic cleaning to its MA, RI, & NH customers. 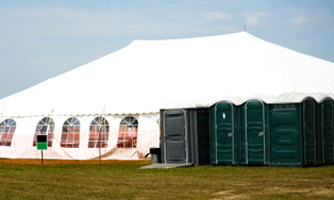 Portable restrooms are an important requirement for special outdoor events, weddings, parties, concerts, festivals, and sporting events, as well as construction work sites and other job sites. We have hundreds of low price porta-jons & portable restroom rental units and a fleet of septic service trucks to handle all residential or commercial porta john rental requests throughout our MA, NH, & RI service area. 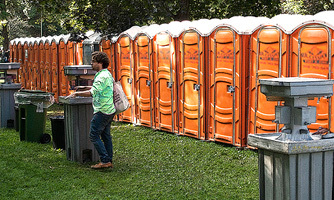 Mr. Cesspool can even provide same-day local delivery on a number of port-a-john units. We welcome you to explore our site to learn more about our company's portable restroom products and septic cleaning services. If you have any questions, please don't hesitate to call our New Bedford MA office at 508-985-0991, or email us at mrcesspool@verizon.net. © Mr. Cesspool, LLC - All rights reserved.